Our extensive range of square tablecloths match up to 2ft 6" square tables. Match up your tablecloth colour to your corporate colours, on 4ft trestle tables. 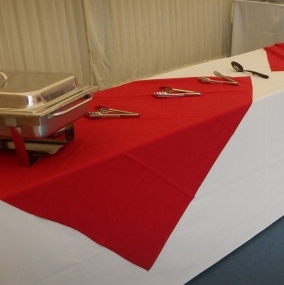 Our range of 90" square tablecloths are available in a choice of 6 colours. 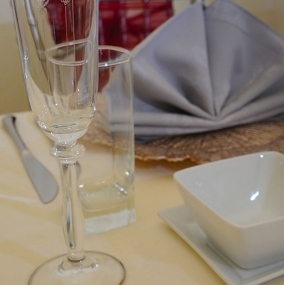 If you need to hire square tablecloths for your upcoming dining event, then you are in the right place. Square tablecloth hire from Event Hire UK is available in a range of different sizes according to the table size that you want to cover, or you might want to hire a few square tablecloths to cover rectangular tables, for instance. We offer not only different sizes of square tablecloths, but also a variety of different colour options including black, white and ivory, which are always the most popular. That said, if you have a specific colour requirement in mind, don't hesitate to contact one of our expert sales team who will be delighted to assist. 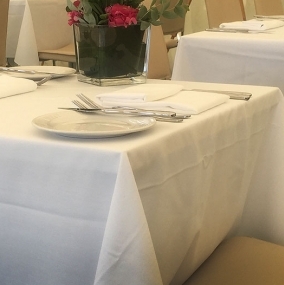 Our square tablecloths, as with all our linen, comes to you table ready for your event or wedding, having been professionally washed, pressed and packaged. You can, therefore, be confident that you will receive high quality linen tablecloths for your event, leaving you to concentrate on other areas of your event to make it the success you want it to be.